And that’s as true for older adults as it is for anyone. Exercise among seniors helps them maintain aerobic endurance, plus muscle mass and strength, which they need to perform activities of daily living and to reduce falls and injuries. It even helps them sleep better. Despite all this, many seniors are not physically active enough, for various reasons, like millions of Americans of any age. Some have trouble getting motivated to exercise on a regular basis. They think it will be boring or hard. It’s not for them. It’s not any fun. They might get hurt. But if they find exercise to be fun and engaging, older adults are likely to stick with it and to look forward to attending. They’ll even tell their friends and families about how the regular exercise is fun and how it’s improving their physical, emotional, and social lives. So, if people find an exercise program to be fun, that means they’ll participate in it more — which means they’ll gain more benefits from it. Then why not build fun right into the physical activity? 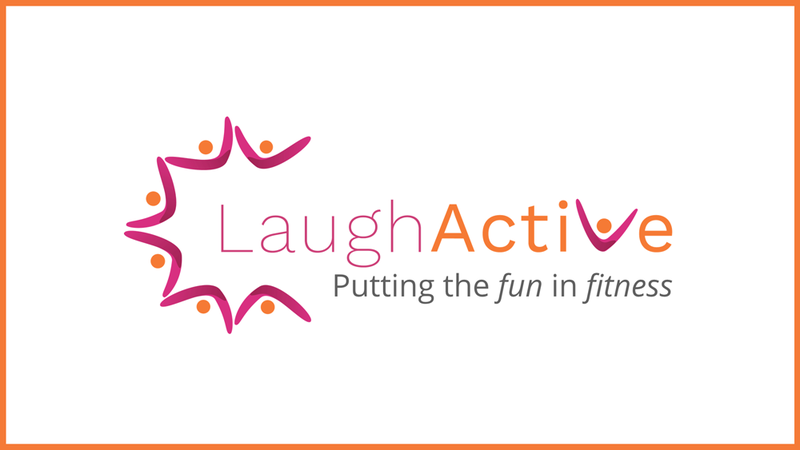 Our program, LaughActive, specifically targets the idea of enjoying exercise. It brings up happy feelings in participants right from the start, and on an ongoing basis. We incorporate laughter because, well, it feels good. The pleasant associations with laughter as part of an exercise program motivates participants. And it’s healthy. Studies show that the physical act of laughing is comparable to cardiovascular exercise. It also shares the benefits we get from exercise. Now, before you start with the “Laughter is the best medicine” references, it’s important to make a key distinction. Humor and laughter are different. You don’t need to find something funny in order to laugh. You can just laugh, without any comic stimulus. Simulated laughter techniques are based on this: Your body can’t tell the difference between genuine and self-initiated laughter. Neither can others around you. Our simulated laughter exercises get people to make eye contact with each other. We lead them in enacting playful behaviors with other participants. And that usually becomes genuine laughter on its own! This process leads to longer, more intense laughing. And those two effects have the potential to bring about even stronger responses in the body and mind. Simulated laughter may be an ideal means for older adults with functional or cognitive impairments to access the health benefits of laughter. That’s because humor is elicited through a mental stimulus that requires a high degree of mental function — including attention, working memory, flexible thinking, extraction of word meaning, and being in a positive mood state in order to perceive and appreciate humor. But when laughter is self-initiated as bodily exercise, older adults do not need to rely on cognitive skills to “get the joke,” or a positive mood state to reap the benefits of laughter. Plus, laughter is universal. Who doesn’t like to laugh? It’s always positive — compared to some humor, which can be misjudged or trigger negative emotional responses. These benefits are especially relevant to older adults with moderate dementias, who might have trouble understanding humor, and those who find it hard to find anything funny about the aging process. Now that we see how important it is to build fun into fitness programs for older adults, let’s talk about LaughActive. LaughActive uses purposeful, self-initiated laughter to help build on the four key aspects of physical well-being doctors recommend for seniors: strength, balance, endurance, and flexibility. Playful simulated laughter exercises and breathing techniques are interspersed throughout the exercise program. These laughter breaks make the class more fun, enhance joyfulness and well-being, and bring a social element to everyone involved. The laugher exercises are strategically placed at various points in the program. Laughter strengthens and relaxes muscles, so we time the laughter exercises to involve the major muscle groups that were just used, or are about to be used, during the strength, balance, endurance, and flexibility exercises. A laughter exercise is typically incorporated into the routine after every two to four movements. Again, science and studies support all of this, which we already know to be true anecdotally from our own lives and from working with seniors. A Georgia State University study found that 96.2 percent of respondents found the laughter aspect of the programming to be an enjoyable addition to a traditional exercise program. Researchers hypothesized that the laughter aspect would make exercise more accessible for participants, and that accessible and enjoyable physical activity would make people more likely to participate in other activities. Indeed, 88.9 percent of respondents stated that the laughter aspect of LaughActive made exercise more accessible, and that the program enhanced their motivation to participate in exercise. We created the LaughActive Exercise Instructor Training program to help businesses and individuals who want to help older people reap the benefits of safe, effective and fun exercise. We designed the training for lay professionals who don’t have an extensive background in exercise science or physical fitness. Our 16-hour course is easy to take at your own pace in short, digestible parts on your own timeline. When you’ve finished, you’ll be certified to instruct LaughActive exercise sessions.